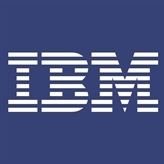 The IBM Cloud Garage is an “Innovation and Transformation” consultancy located in the heart of the start-up community. Our design first organization applies IBM Design Thinking and Lean User Experience (UX) techniques to help our clients, large and small, deliver amazing experiences to their customers by helping them identify and build innovative applications on the IBM Cloud. Our fast paced, collaborative, and co-located teams make the IBM Cloud Garage the most exciting place to be.